The Cetaceans communicate with each other no matter where they are in Earth’s oceans, by staying in the frequency flow of “All That Is”. It is the way the trees and animals and all of nature communicate. The first step is to be conscious of this interconnection of all life, and then you will find it flowing within you, with no “work” on your part. This is the key to the Universe, and it is within you. In our Hollow Earth, our water system is pristine pure, and is living, crystallized water, with its consciousness fully intact — not like your dead water on the surface, that’s devoid of life giving energy. In the underground cities, we have chariots — so to speak — that carry us through the air from one location to another. Everything operates through a combination of Crystals and electromagnetic energy. We have no fossil fuels, hence no air or land pollution. What we don’t use we de-materialize instead of discarding. This way our land remains free and not cluttered as on the surface. Know that in the Hollow Earth we live in caverns, underneath the inner surface of the hollow cavity of Earth. This way, we don’t disturb the land outside our caverns or on the inside of the inner surface. This is the most economical way to build a dwelling, since it comes already built. The caverns were already in existence when we arrived here many eons ago. They were already in place and we just further hollowed them out and designed them to meet our living standards. The earthen cavern is also fuel efficient and holds in the heat. We are very creative in architecturally designing our living space with the materials from the Earth herself, without disturbing the Earth in the least. We use mainly Crystals, gemstones, lapis, gold, and other varied stones along with technologically created materials for our furniture, and hemp for all our clothing and bedding. We use Crystals for all our needs. 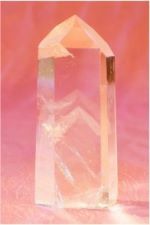 These Crystals direct and guide us, and bring into unison all that we need. Our sky is bright from the projection of our Crystals and our thoughts. We don’t have clouds or rain. We have an abundance of water for all our needs that is pure and clean, and we bless the Earth daily for this abundance. We go about our daily business in Love and Gratitude for all that we have.